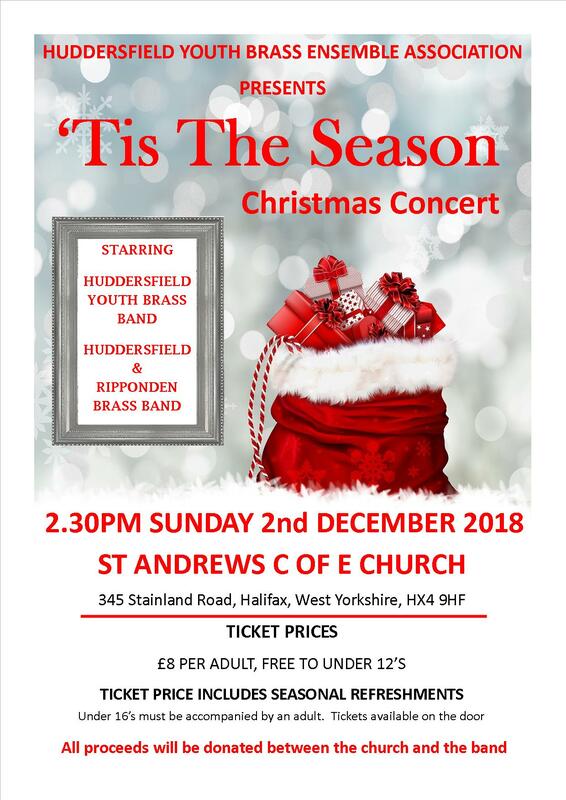 Huddersfield Youth Brass Ensemble Association presents ‘Tis The Season’ Christmas Concert at St. Andrew’s Church, Stainland Road, Halifax HX4 9HF on Sunday 2 December, 2:30pm. Featuring Huddersfield Youth Brass Band and Huddersfield and Ripponden Brass Band there will be music to suit all tastes. Tickets are £8 (free to under 12s) include seasonal refreshments and are available on the door. This entry was posted in Dec, Events, Get Involved / Have Your Say, Greetland & Stainland and tagged Huddersfield Brass Band, St Andrews Church.